Jewel orchids are a fascinating group of plants that are grown for their beautiful foliage. 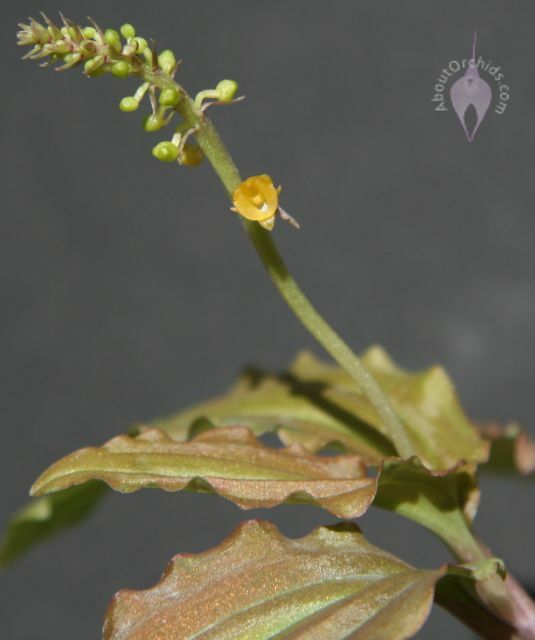 Usually, mention of their colorful leaves includes a statement that the flowers are uninteresting. I always find that an amusing statement, but maybe I’m biased as an orchid geek that all orchids are interesting. 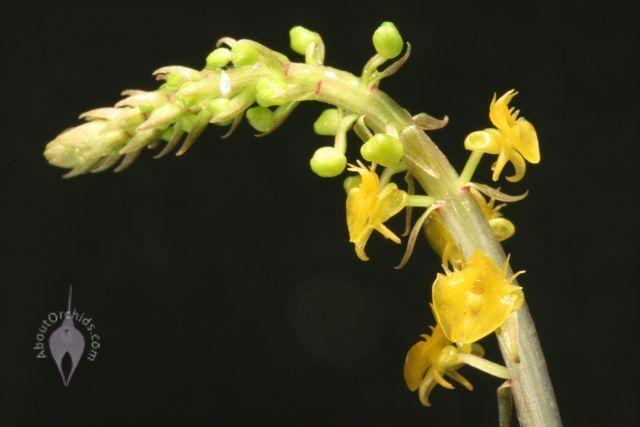 I do believe that this mini jewel orchid, a Malaxis, proves my point. 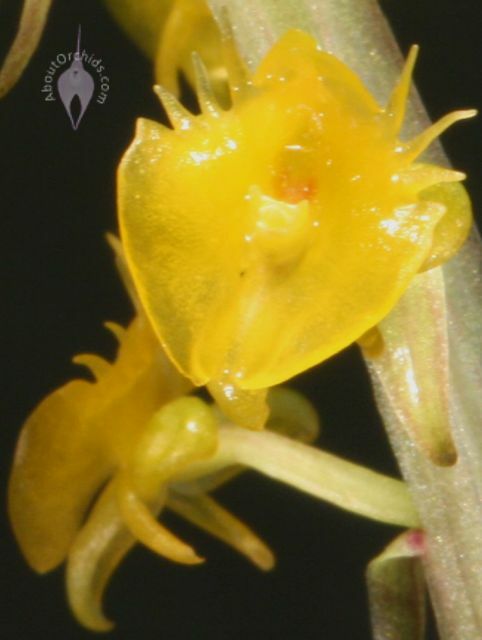 Its flowers look more like a tiny yellow bug than an orchid. 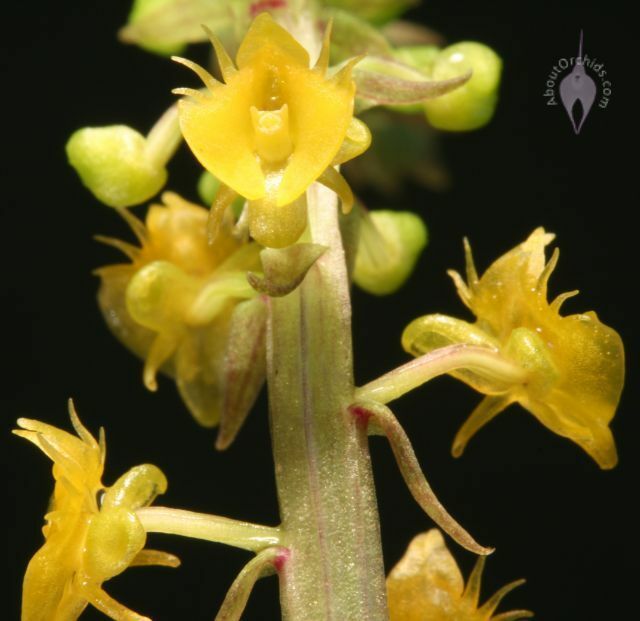 The little blooms are less than 1/4 inch (6 mm) wide, and open in succession along a lengthening flower spike. 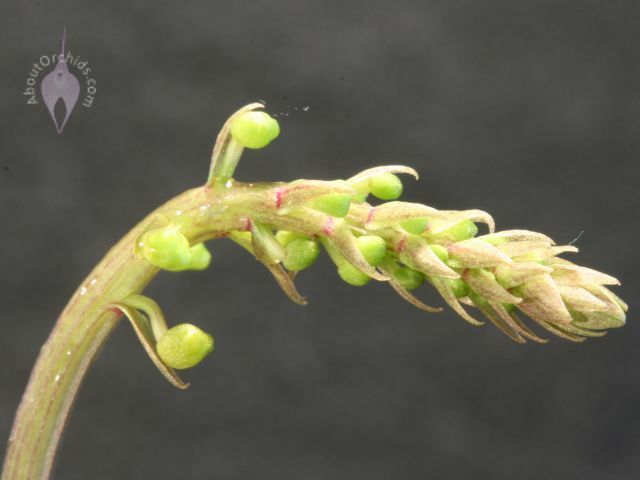 The first picture shows the flower spike with unopened buds. I bought this unusual orchid a couple years ago, and set it in a shady spot. It grew well for a few months, and then started dropping its leaves. Soon it was down to a single leaf, and I was ready to sacrifice it to the compost. In a last-ditch attempt to save it, I placed it in my terrarium, which has constant high humidity. Instantly it perked up, and over the next few months it grew more leaves. Finally it’s rebounded well enough to bloom. Moral of the story: high humidity is essential for this orchid, since its thin leaves dry out quickly. 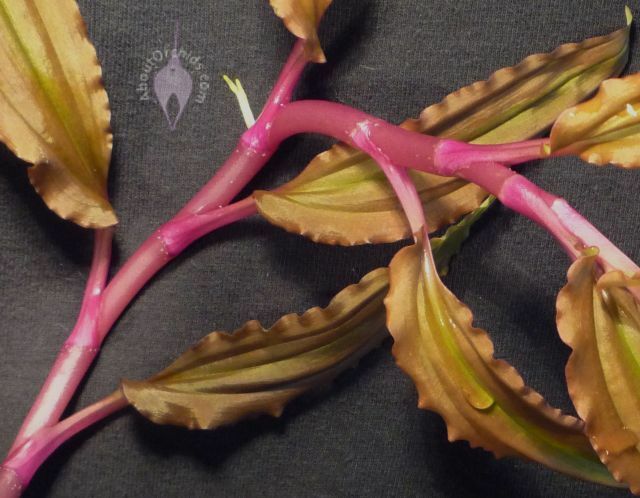 The pictures below show the beautiful iridescent bronze leaves and bright pink stem that make this a gorgeous plant, even when it’s not in bloom. I’m certainly not denying that the plant is beautiful, but I don’t think that makes the flowers any less interesting. 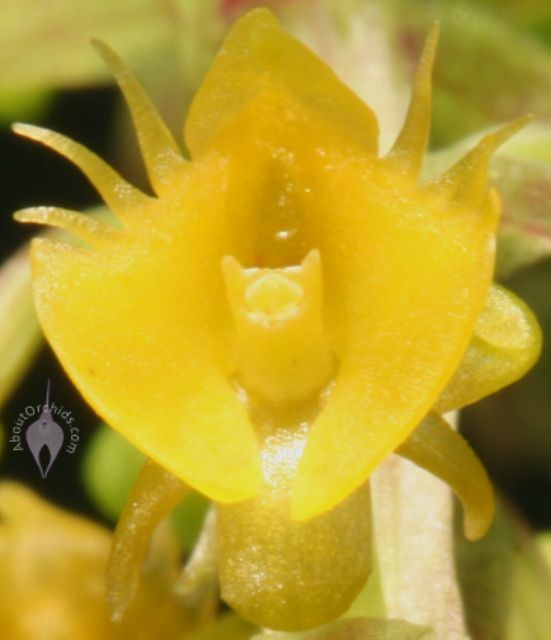 This entry was posted on Tuesday, February 24th, 2009 at 8:29 pm	and is filed under Intermediate Growers, Mini Orchids, Photos. i don’t think the flowers look like a bug. i think they look like a flying lizard.